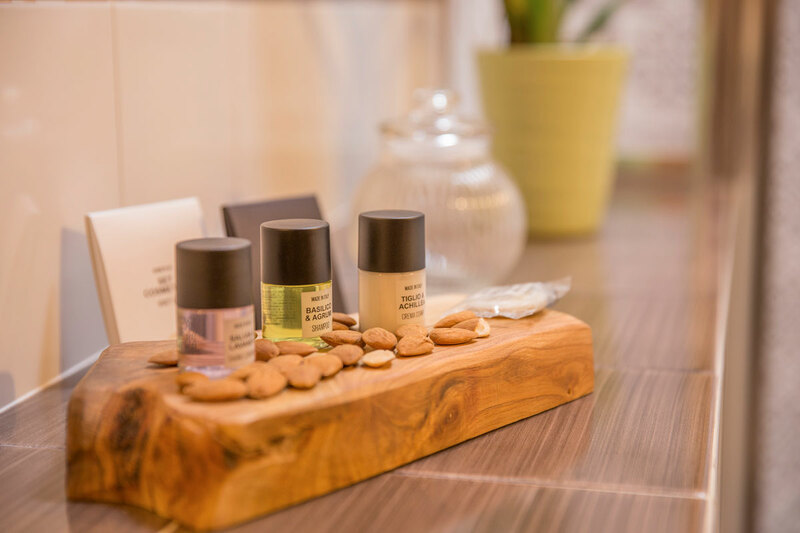 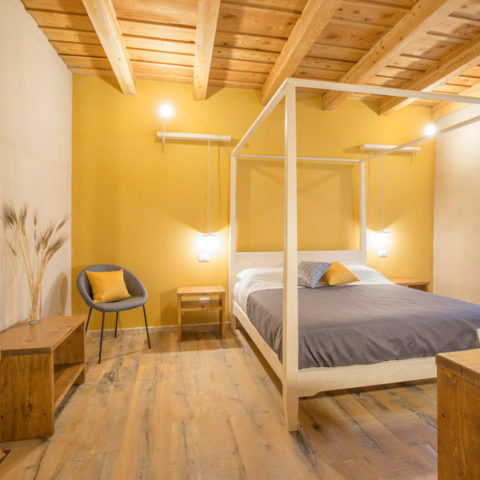 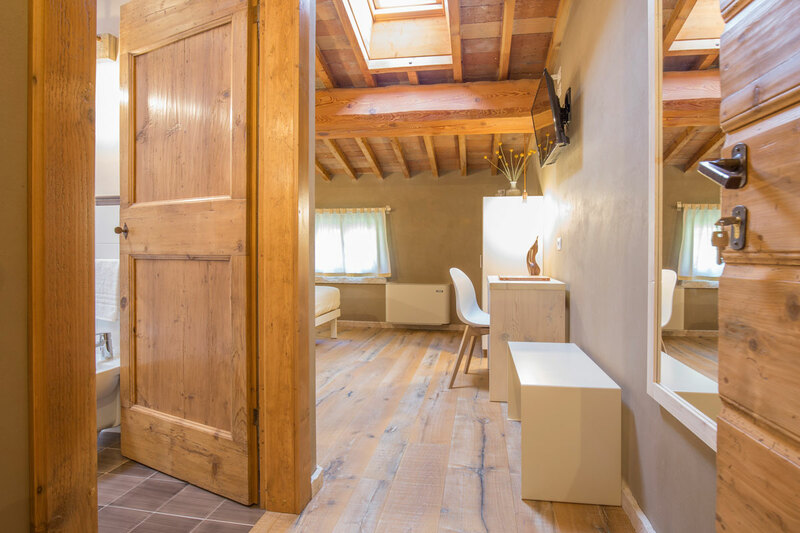 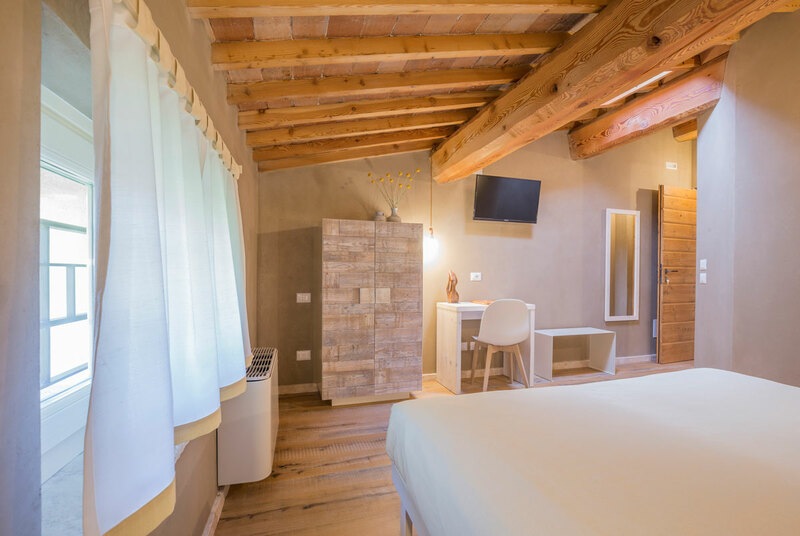 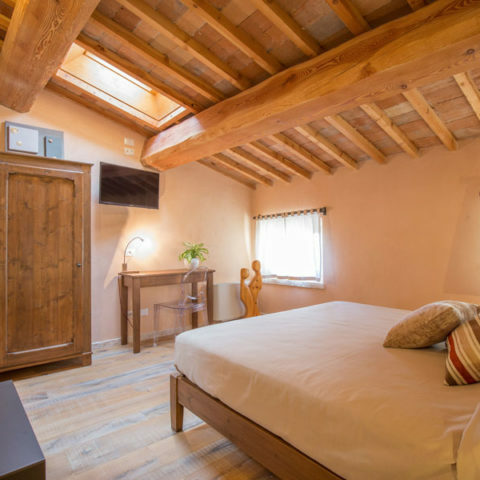 Il Mandorlo is a double or twin room with private bathroom. 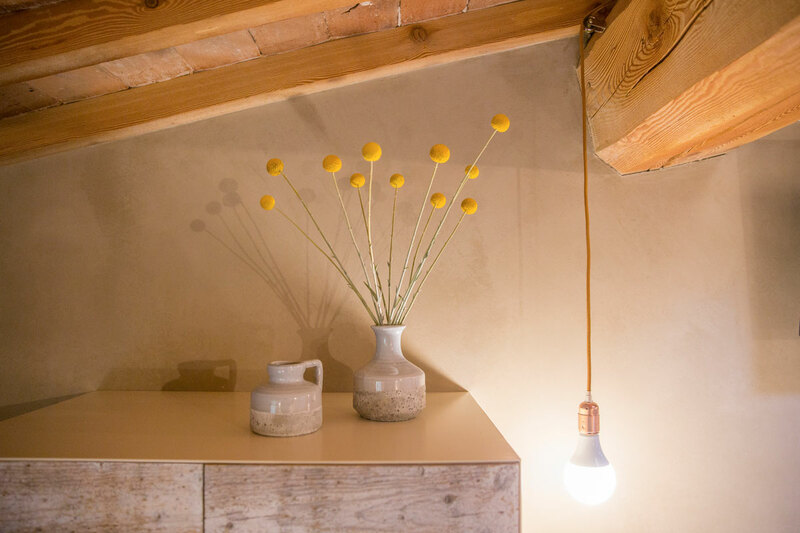 It is characterized by furnishings made of bleached wood, combined with ivory metal elements. 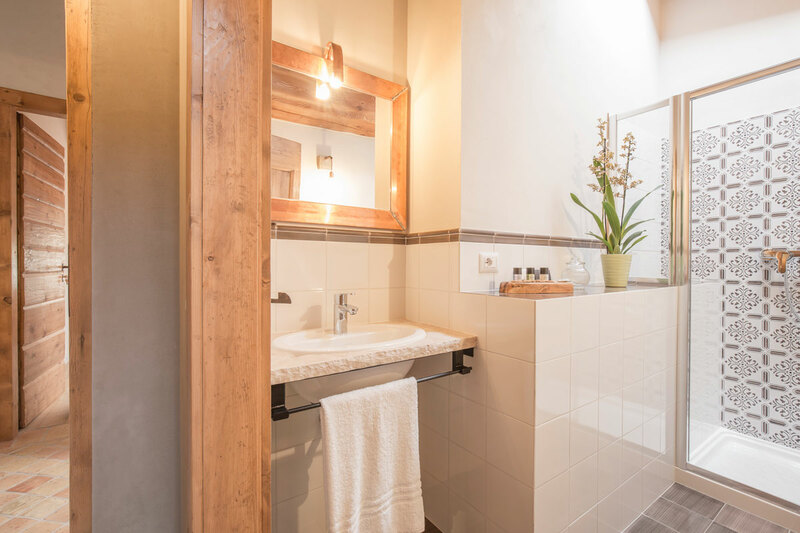 The predominant color remains brown, which covers part of the walls and the covering of the bath. 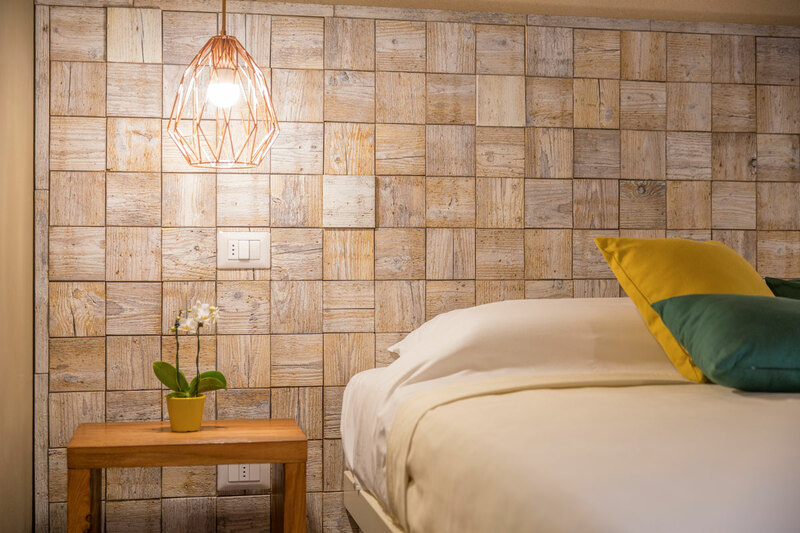 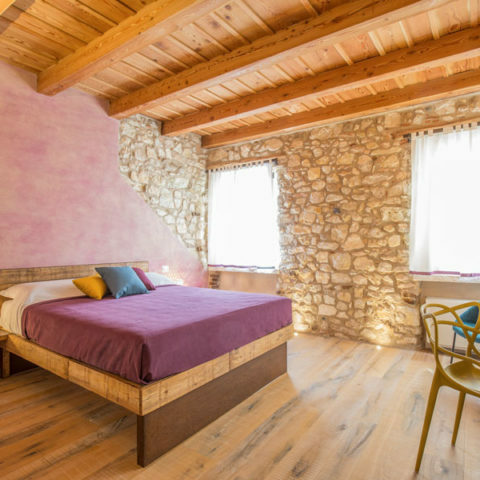 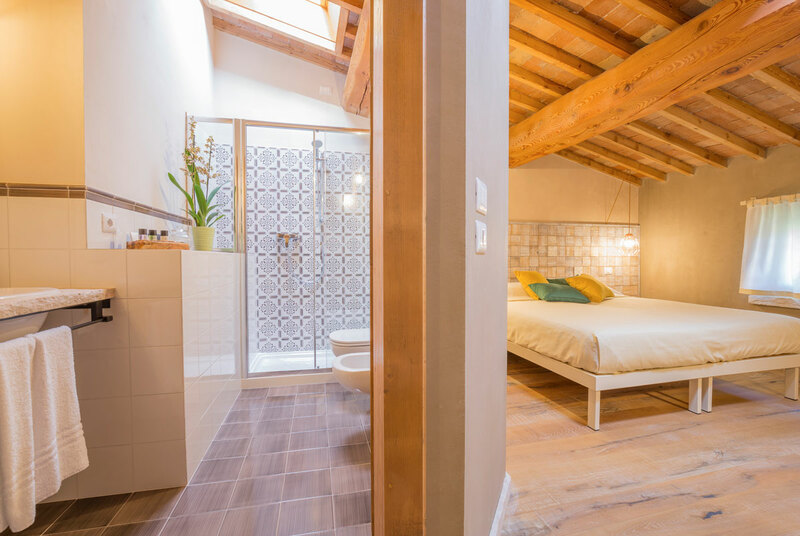 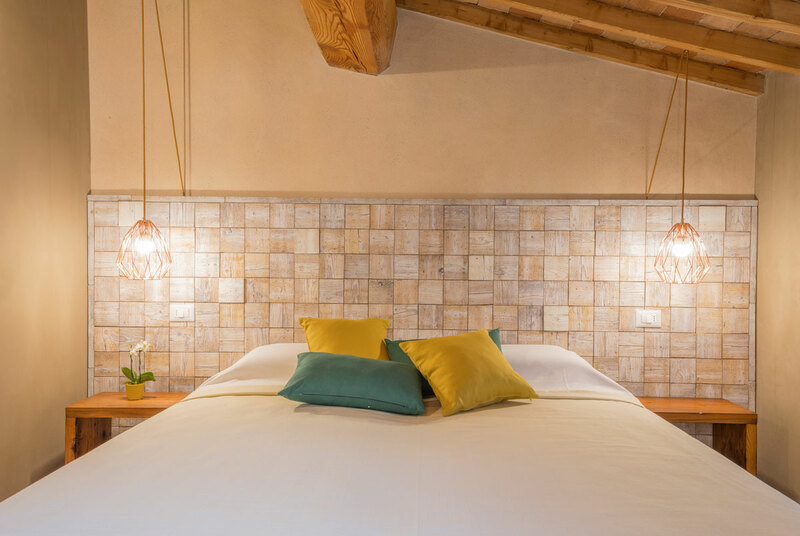 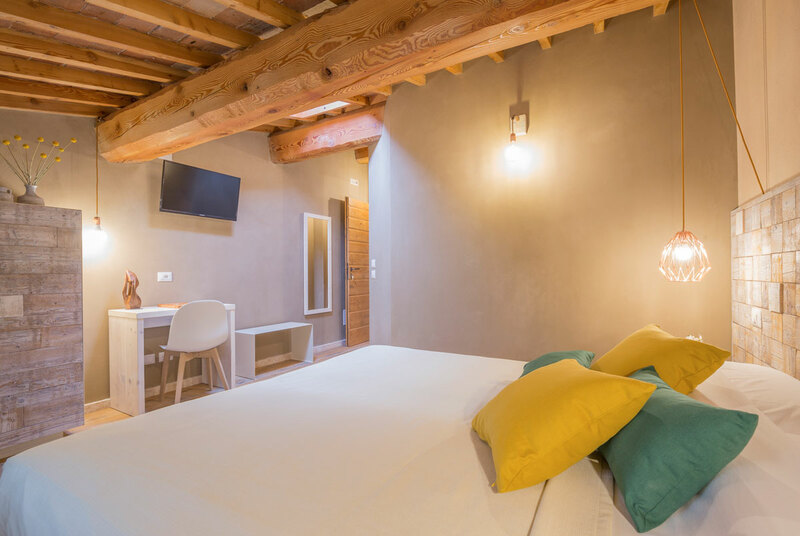 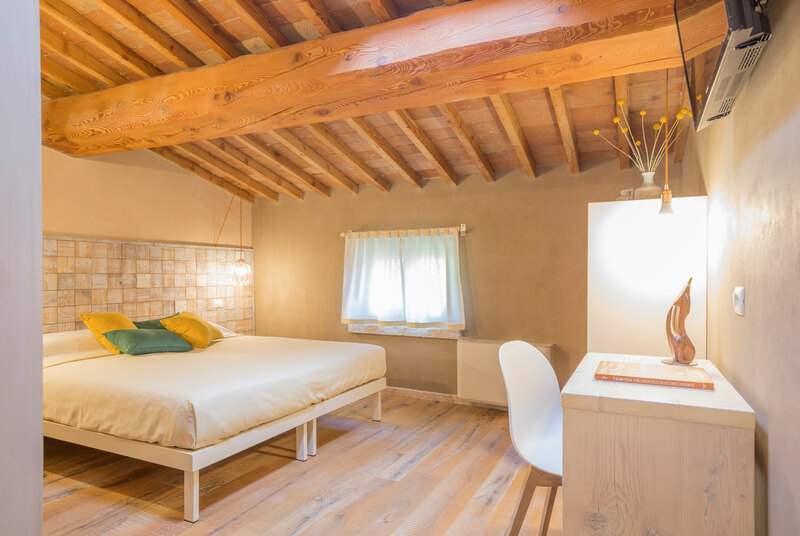 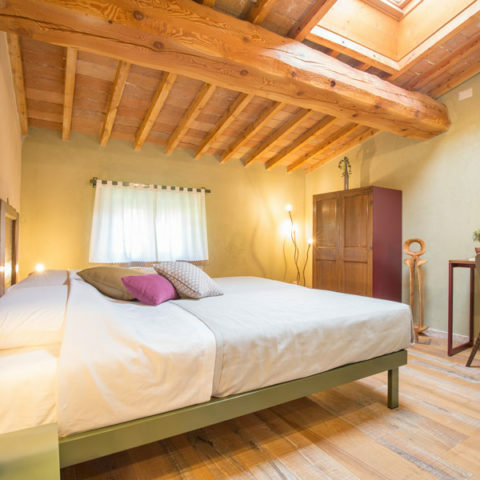 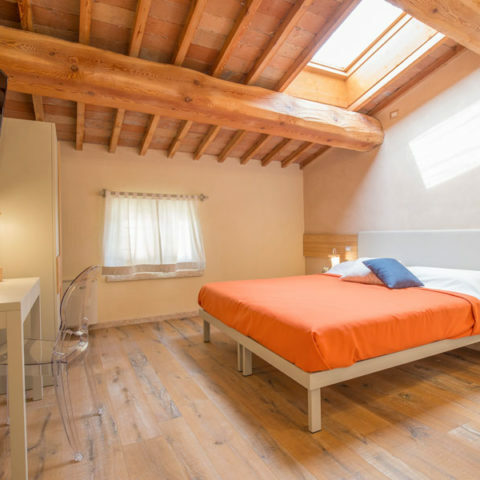 The room has a ceiling with exposed beams and terracotta tiles.